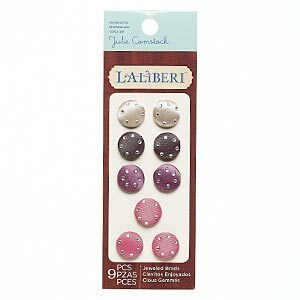 Brad, Laliberi, satin / acrylic / steel, assorted colors, 16mm round. Sold per pkg of 9. Item Number: H20-E5813CL Have a question about this item? 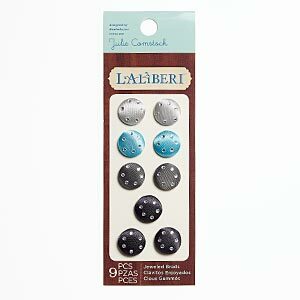 Colors can include blue, grey, black and clear. 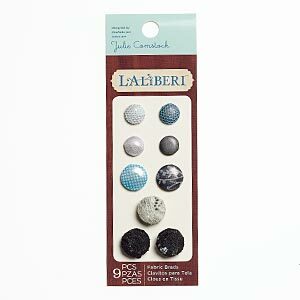 Brad, Laliberi, satin / nylon / steel, blue / grey / black, 12mm and 16mm round. Sold per pkg of 9. Minimum 2 per order.